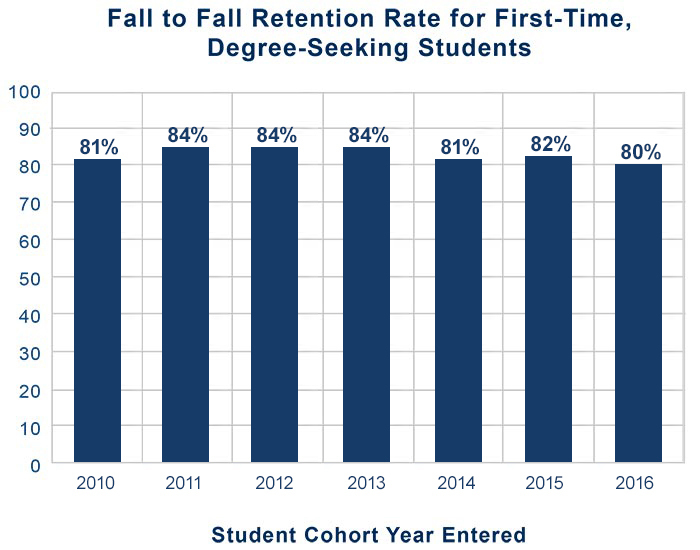 The retention rate is the percent of full-time students who entered as freshman and returned the next fall for their sophomore year. * The average retention rate for the fall 2016 cohort at Minnesota and Wisconsin colleges and universities was 75.9%. SOURCE: U.S. Department of Education, National Center for Education Statistics, Integrated Postsecondary Education Data System (IPEDS), Fall Enrollment component (provisional data). 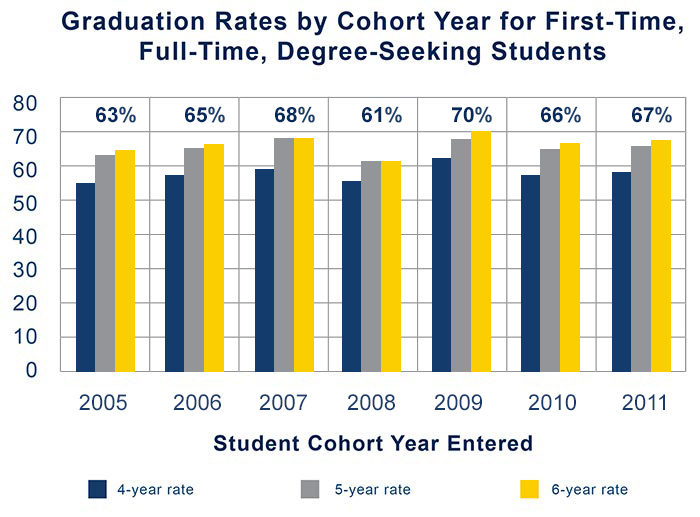 Graduation rates show the number of students who graduate within a certain time period from when they start. 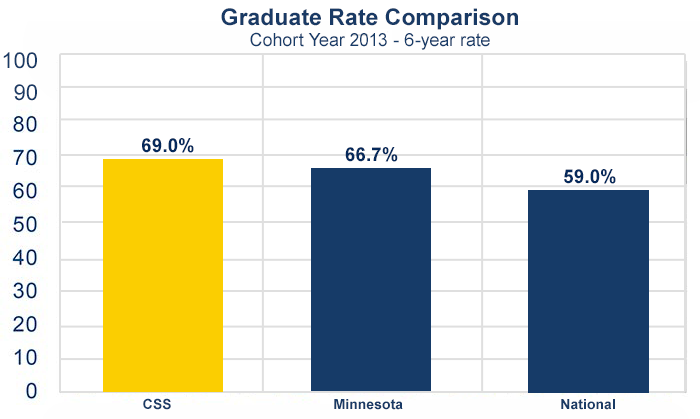 Our four-year graduation rate is higher than public colleges and universities in Minnesota and on par with peer private colleges and universities throughout the state. Our six-year graduation rate is also above average. * The average six year graduation rate for the 2010 cohort at Minnesota and Wisconsin colleges and universities was 59%. SOURCE: U.S. Department of Education, National Center for Education Statistics, Integrated Postsecondary Education Data System (IPEDS), Graduation Rates component (provisional data). See how St. Scholastica compares to similar colleges at College Results Online. We make a four-year pledge to our incoming first-year students because we are committed to helping them graduate in four years.